Welcome to the Mines of Spain 100! 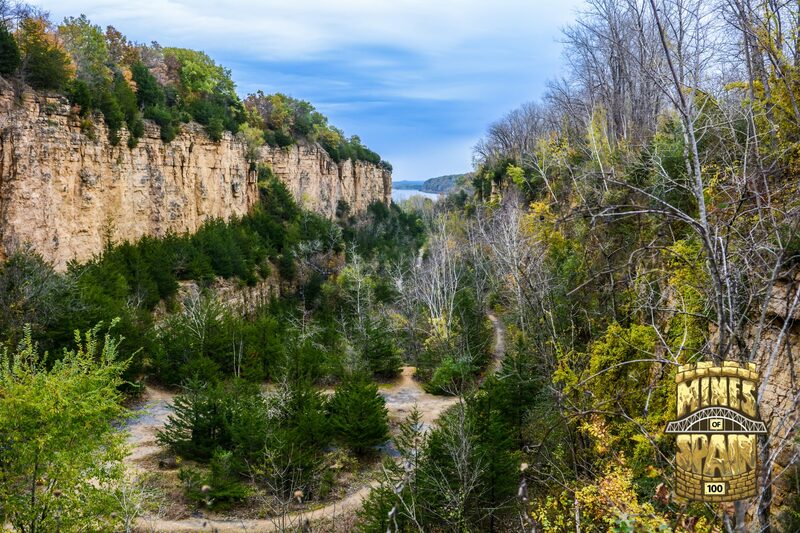 This is a true Midwest trail race set in the beautiful bluffs, prairies and forests of the driftless region of eastern Iowa amongst the scenic setting of the Mississippi river valley! The race is held on a ~20 mile course comprised of a wide variety of terrain that will both challenge and inspire runners with its eclectic mixture of steep technical single track, wide rolling dirt and prairie double track with a multitude of other fun and scenic sections mixed in! This is a course designed to be equally suitable for first timers or veterans alike. Our mission is to provide an ultra-marathon event that is grassroots in feel yet meticulously organized with every effort being made to provide the most rewarding experience for the runners, their crews, race volunteers and every single person involved. Our continued year-round goal is to support the area trail organizations and groups that oversee the Mines of Spain in whatever capacity we can including a substantial financial contribution from the race proceeds going directly to the park to aid in funding for future trail maintenance and projects. Thank you and we hope to see you at the Mines in October!